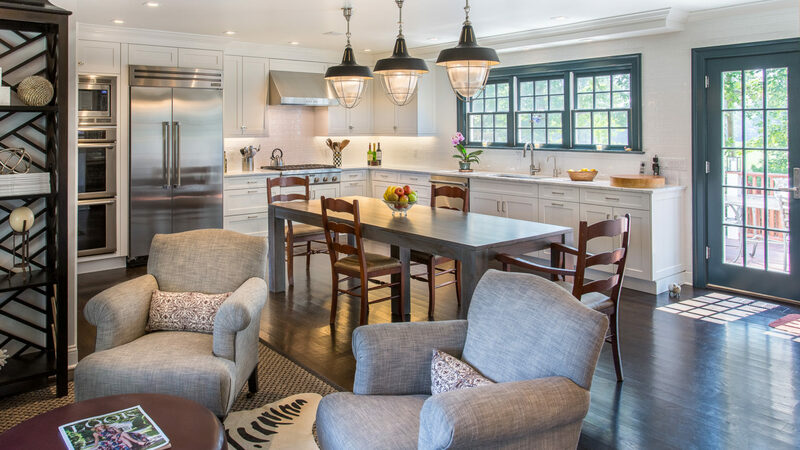 This Modern colonial kitchen was built around a dining table to accommodate a large family. Handcrafted subway tiles were used as the backsplash and to frame the windows. 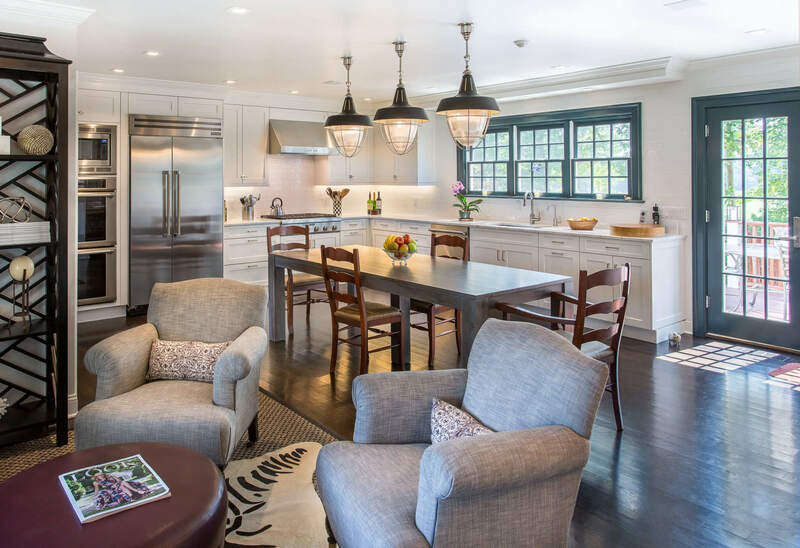 Shaker style Brookhaven custom cabinets created the contemporary feel of the space. The house also had three bathrooms, including the master which were all redone for this project.